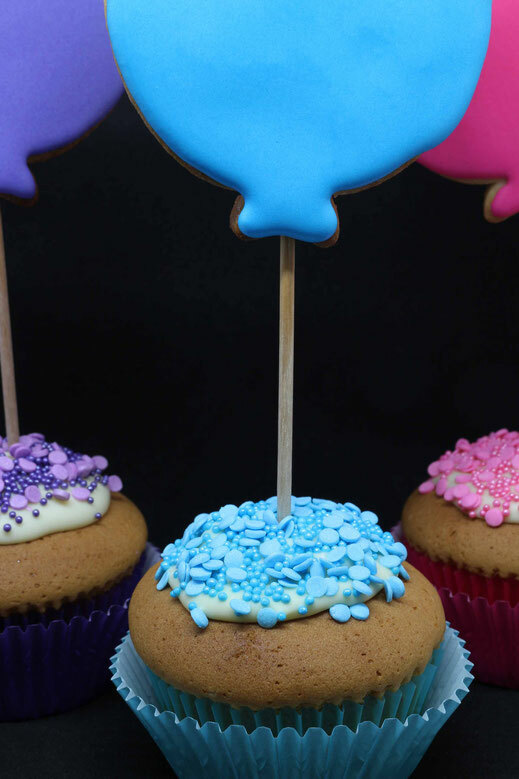 Today we are going to bake this super cute balloon cupcakes. They are perfect for birthday parties or just when you want to make some fancy cupcakes. You can bake them in several steps and prepare parts of it already in advance, which is good if you are busy before a party or another event. You start with baking the balloons. 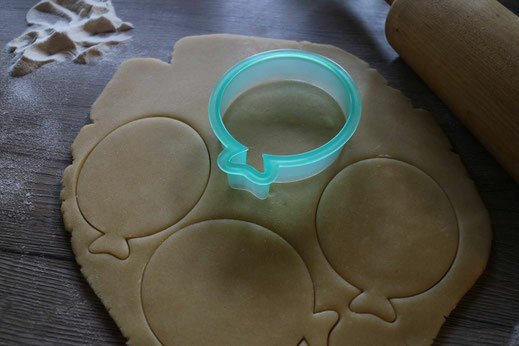 You need this cute balloon shaped cookie cutter and prepare this basic cookie dough. 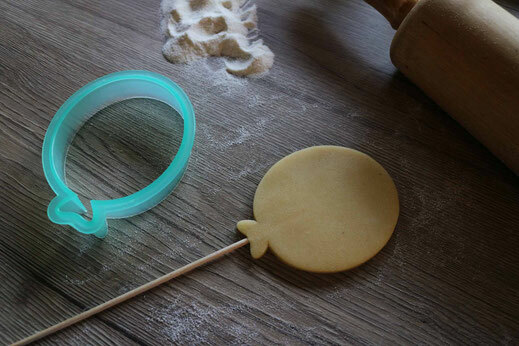 Roll out your dough and cut out the cookies like you are used to, but before baking them stick a wooden skewer into the dough. Make sure the skewer is in the middle of the dough and not showing on the back and the front. Stick it in at least 2-3cm to make sure it secures the cookie later on the cupcakes. 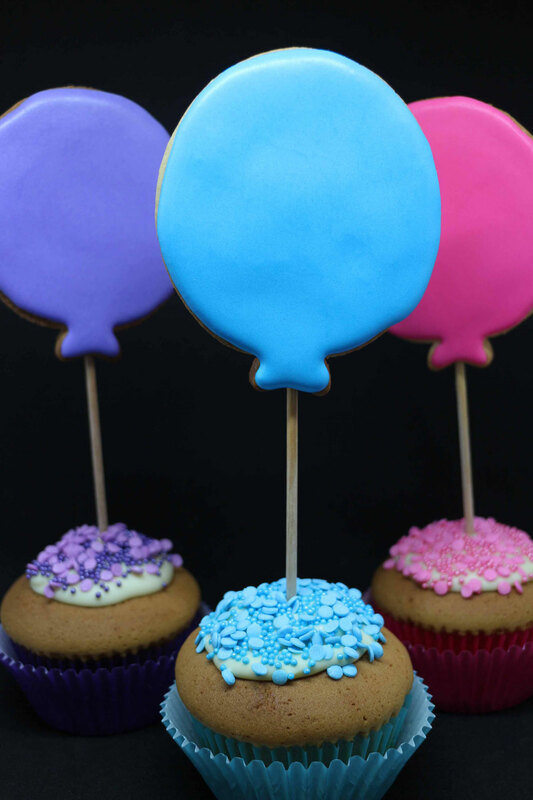 After your cookies are baked and cooled you can start with icing the balloons. 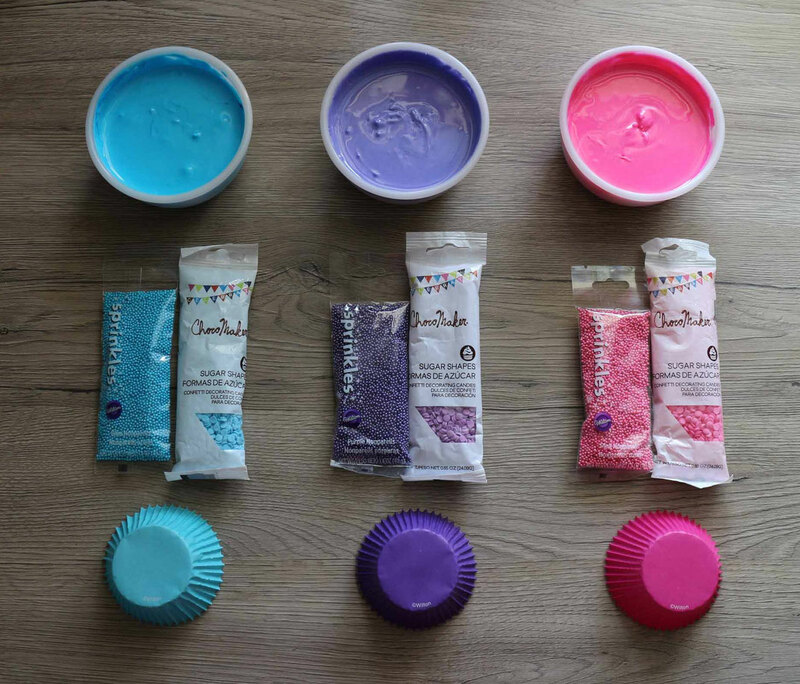 You need meringue powder, food color in different colors and later for the cupcakes, cupcake liners, small and large sprinkles in the same colors. For the royal icing you can find the recipe in the lazy lizard cookies. 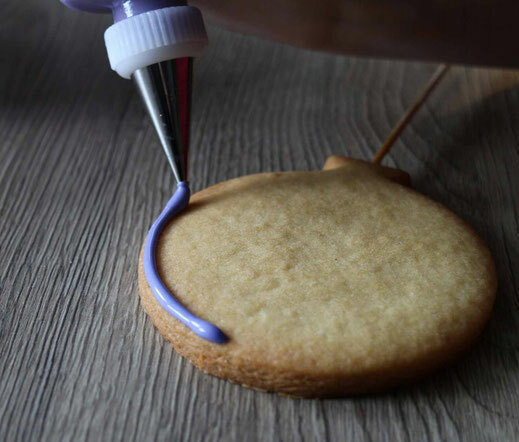 For applying the royal icing I recommend small squeezer bottles or a piping bag with a Wilton tip 2 or similar. Like always I just use one consistency for outlining and flooding the cookies. Start with the outlining, flood them and put them in a convection oven without temperature to dry with shiny finish. This steps you can do already days in advance and store them in airtight containers. Also the cupcakes themself can be already prepared on the day before if needed. 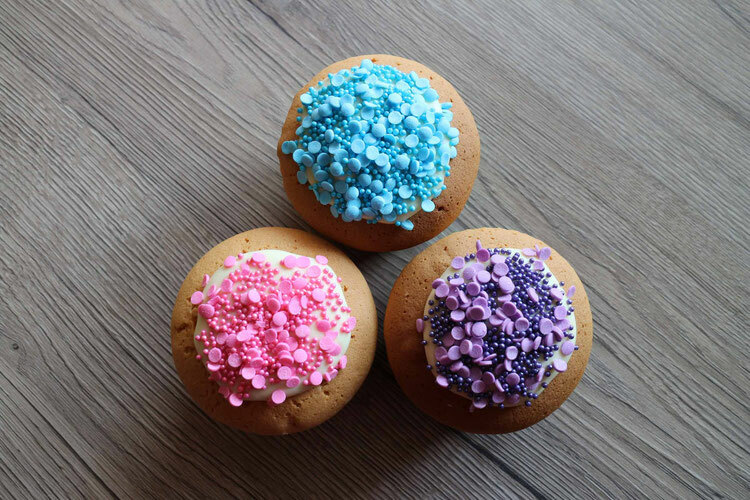 Bake some basic cupcakes and decorate them with melted white chocolate and the sprinkles. 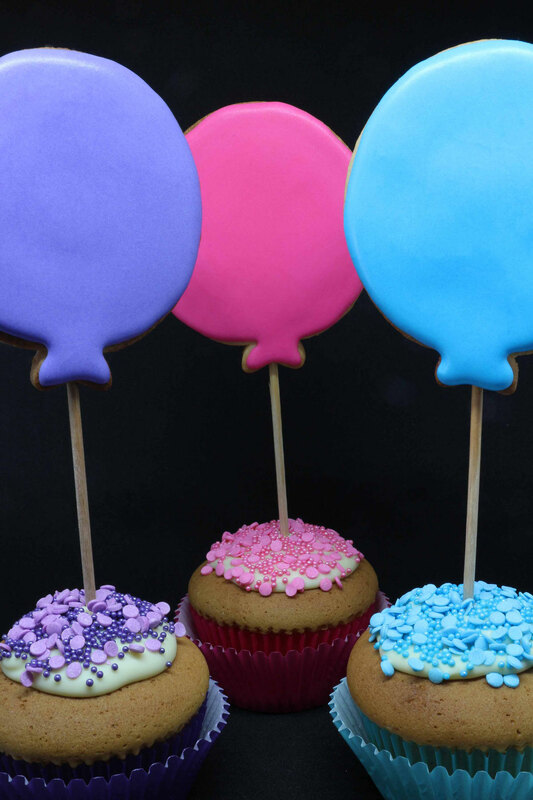 The last step is to assemble the ballons into the cupcakes. I was a little afraid they wouldn't hold up, that's why I did it right before serving but I realized there wasn't any issue.